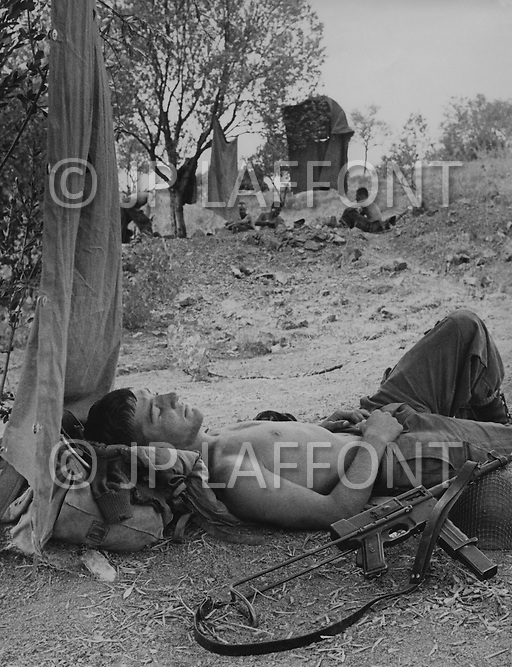 Ecole Militaire d'Infanterie de Cherchell, Algérie, Sept 1960. EOR (Eleves Officiers de Reserves) The futur infantery officers during their long training walks of 40 to 50kms with 40lb equipment and hard hat plus arms and amunitions. The pose for lunch is a sleep for most of them.